The King of Country Music was joined by Ray Benson, Asleep at the Wheel, Dean Dillion, Jamey Johnson and others. Former professional golfer and television personality David Feherty motivated the crowd during the auction by offering his very last “CBS” jacket, before he moves to NBC in 2016. Strait and Benson packed the stage with wounded warriors in an emotional and patriotic interlude prior to the auction. Cowboys, cowgirls, soldiers, entertainers, and fans removed their hats and placed their hands over their hearts as Benson led the ballroom in a devoted version of “America, the Beautiful.” The room raised their shot glasses and drinks with a respectful toast to all United States military and patriotic Americans. 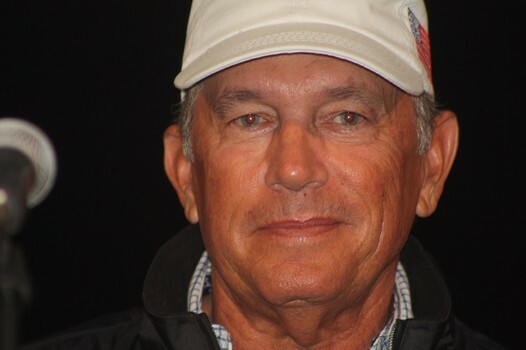 “The least we can do is support these brave men and women who fight for us and we are all humbled and grateful for their service,” Strait added. Strait, who has 60 No. 1 singles and nearly 70 million records sold, is the most-nominated artist in CMA Awards history and was the first country music artist honored with Billboard’s “Legend Of Live” Award. His last show, which took place at AT&T Stadium on June 7, 2014, shattered the North American attendance record for an indoor concert with 104,793 ticket-holders.